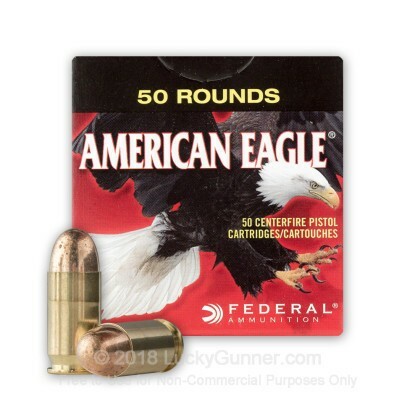 Federal American Eagle ammunition is a perfect choice for your next day at the range. These new production rounds are boxer primed and in new brass cases that are re-loadable. 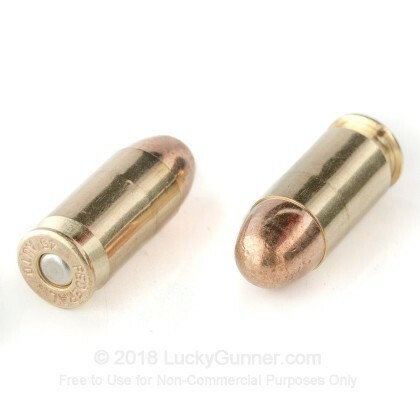 Each shell in this 50 round value pack is loaded with a 230 grain FMJ projectile that leaves the barrel at 890 feet per second. 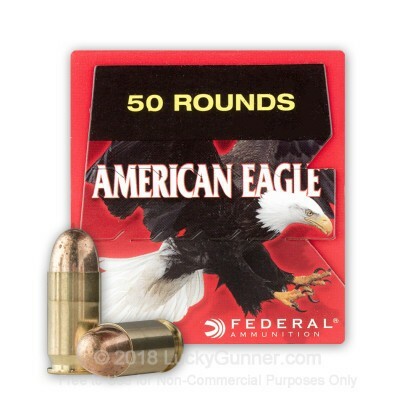 Federal advertises their American Eagle line of ammo as, "The Maximum fun at minimal cost." 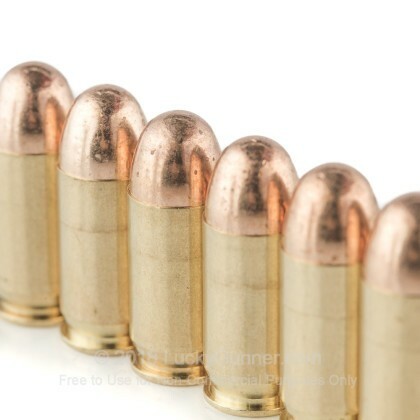 These 45 ACP rounds are packaged without trays to help keep the price of this quality ammo low. American Eagle ammunition gives shooters reliable function, feeding and ignition that leads to consistent yet affordable performance. Federal has been manufacturing ammunition since 1922 and their ammo is American made in their Anoka, Minnesota facility. Federal is part of the Vista Outdoor Group who owns several big name ammo manufacturers such as Blazer, Estate, CCI and others. 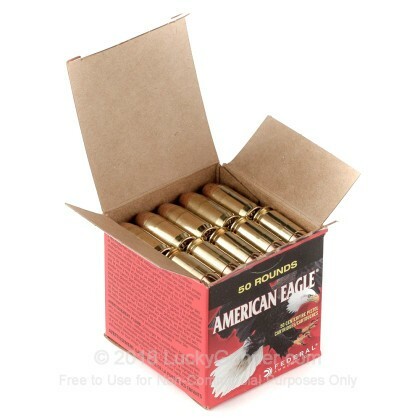 Pick up a few boxes before your next day out at the range and see why so many shooters enjoy the affordable quality that Federal American Eagle provides.